limited manufacture to only 10 pcs!! Pre-order ends on December 10th!! 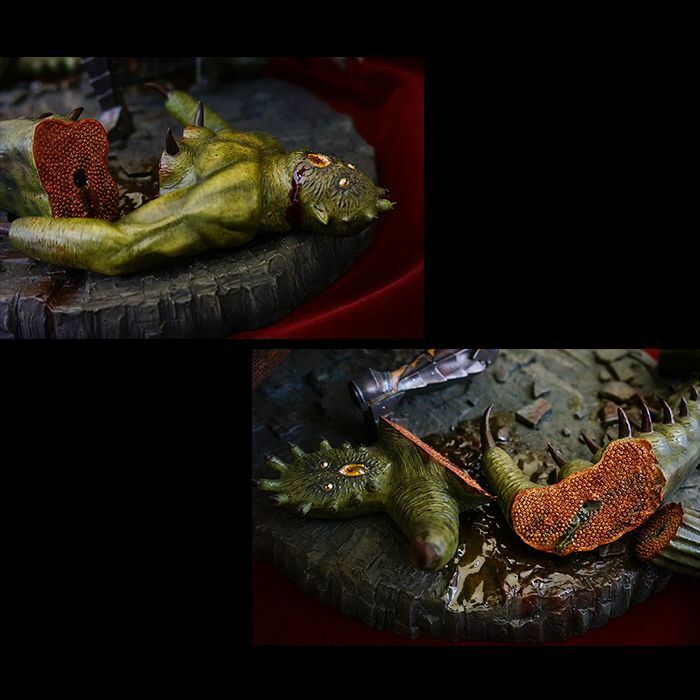 A Big Scale Tentacles Battle Diorama base (Width 42 cm & Depth of 36 cm) with Guts armor release for the last time!! We will be taking the pre-orders for this model for the last time!! 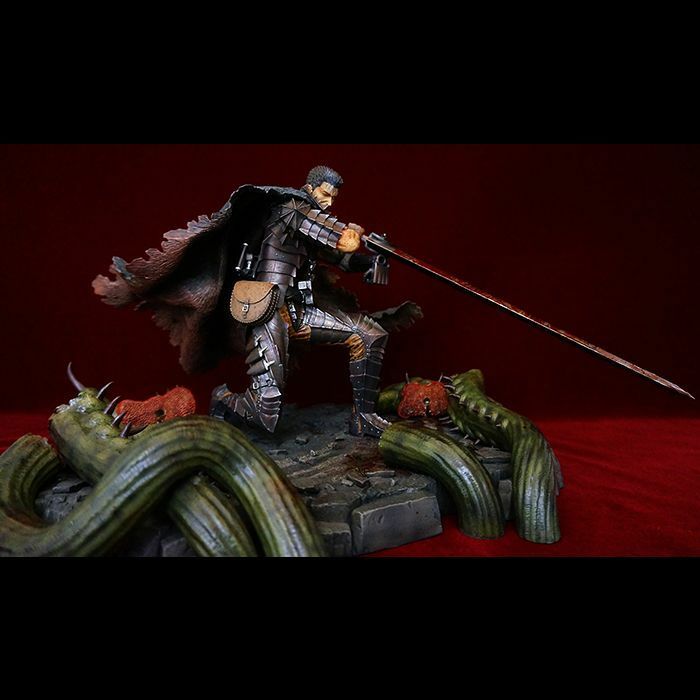 Do not miss in purchasing this fabuluos Guts statue (with big scale diorama base)!! 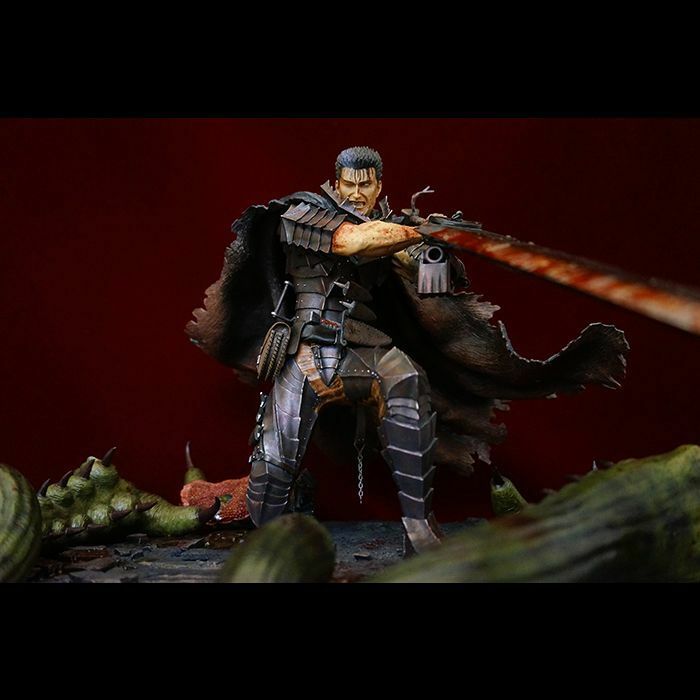 The Spinning Cannon Slice is a combined movement of a blow of Guts’ sword Dragon Slayer and the cannon that bears on his left arm. 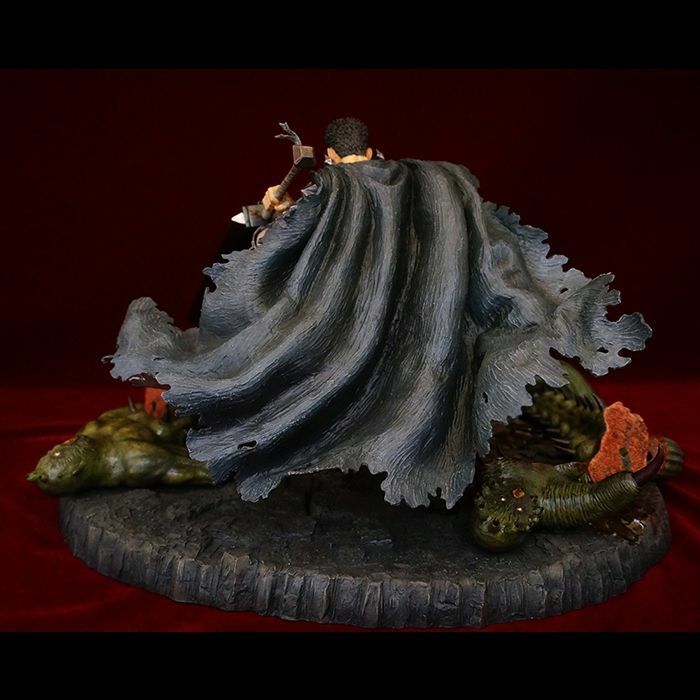 The sculpture refers to the scene where Guts uses this skill against the tentacle monsters of the ghost ship in one of the last arcs of the manga. 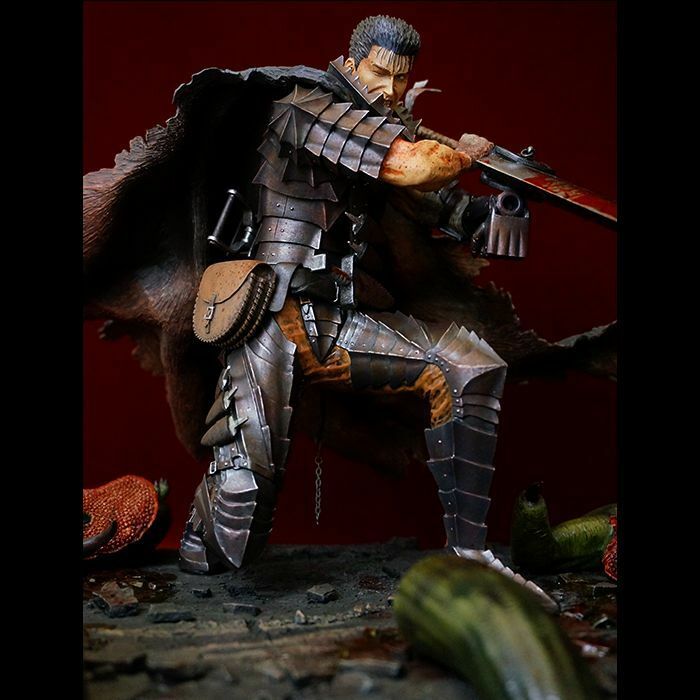 This statue is from the battle scene in Berserk volume 35, Fantasia Arc, Elf Island Chapter. 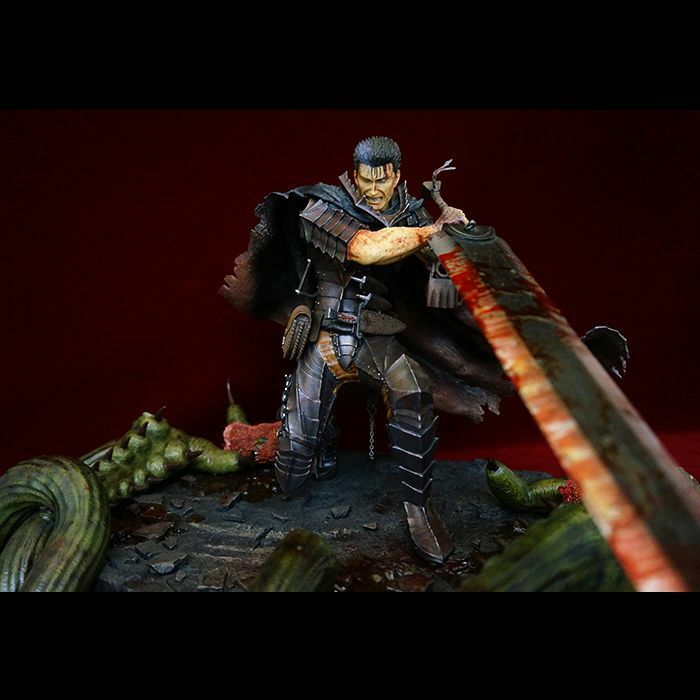 Guts is wearing the Berserk armor, and squatting on the bow of the Tentacle Ship. he stereoscopic bow makes this statue more powerful. 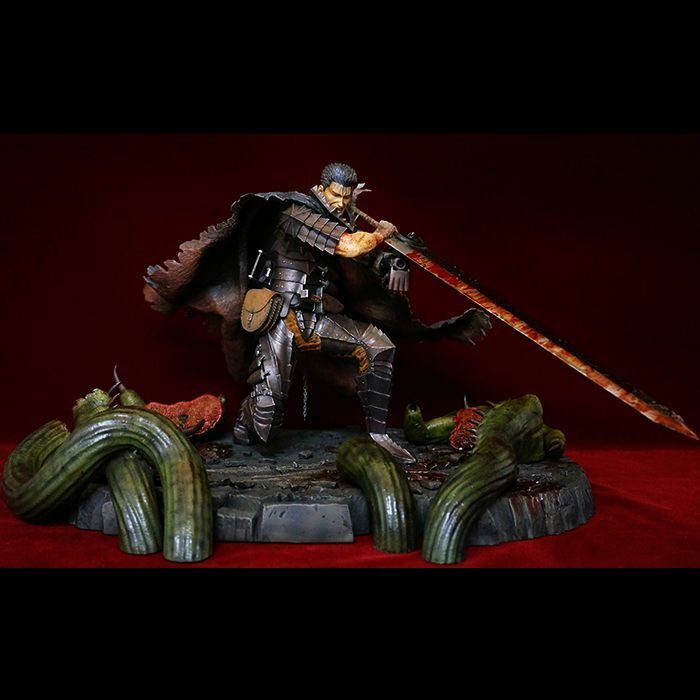 The Berserk armor show that Guts has already lost his self-control. The framework of the hands of the tentacles extending like a magic looks dynamic in the base of Guts. It is the series of “Cannon Slice” where you are fully able to enjoy the reproduce work. The overwhelming volume of the tentacles and the guts itself can be felt in this product. The fresh blood is flowing from the tentacles feels the realism in the battle. You will be fascinated more by the movement of the cannon slice of Guts. 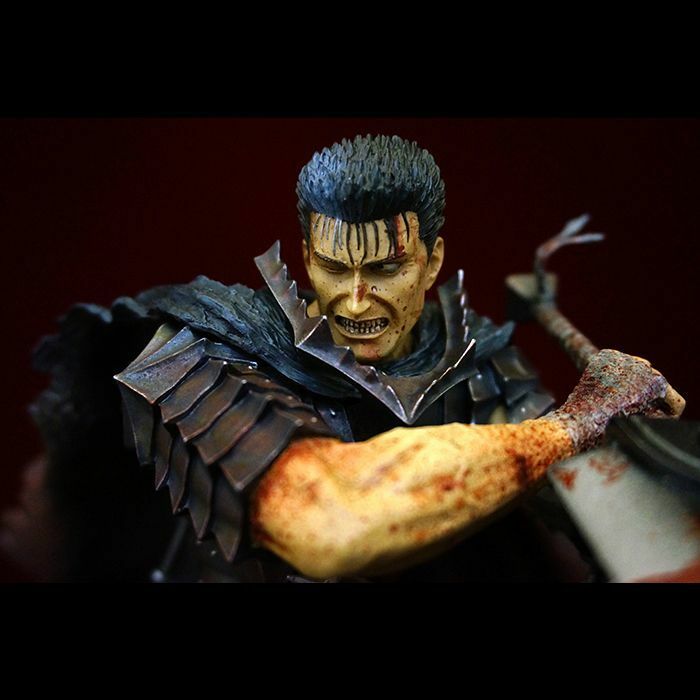 This version has little amount of blood in the base part and in the armor of Guts. There is no addition of blood in the mantle part. In the base part, the two bodies of the tentacles monsters is produced thoroughly. 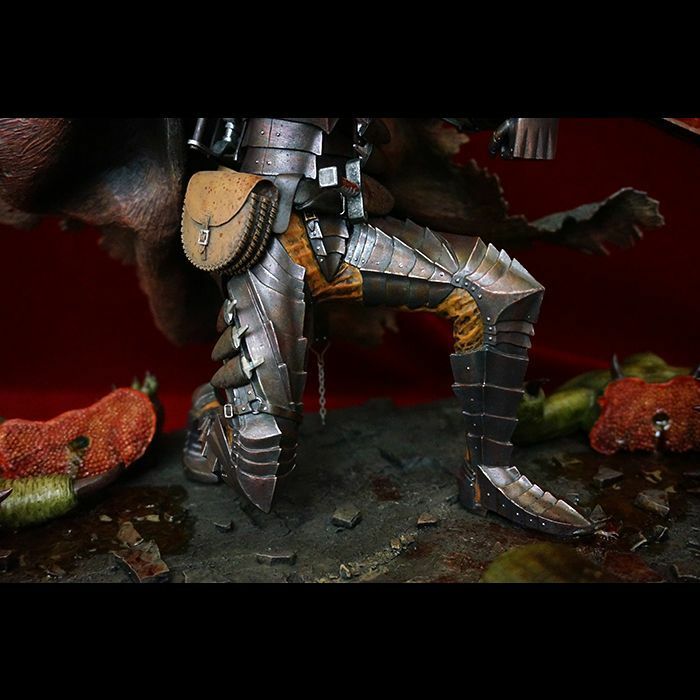 All the modeling of the parts such as the detail like eyes and mouth are done properly bringing the real feeling in the battle. From the open wound, there is a liquid flow of the vividly ominous blood bringing the image of the overwhelming movement of the Spinning Cannon Slice. Literally, looking from 360 degree and from all sides, you will be impressed with this art work. 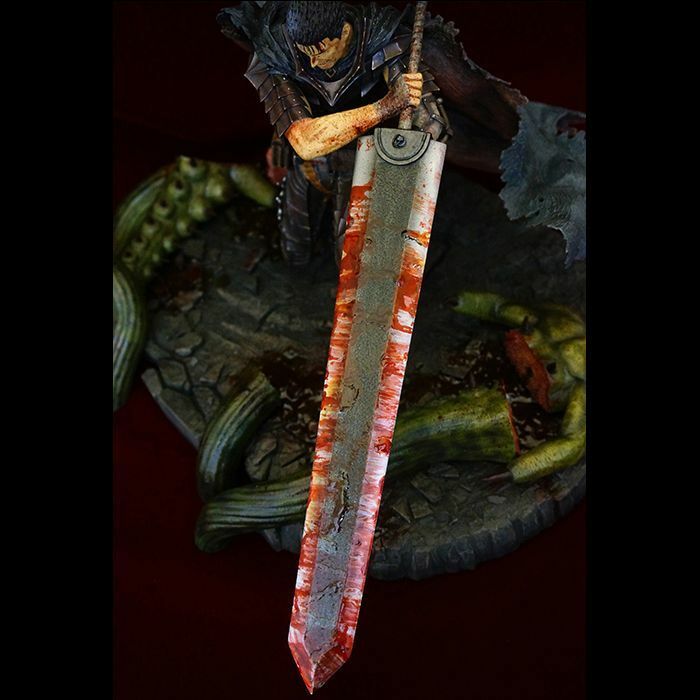 This item has also blood in the base part and sword of the item. First Payment: 65,000 JPY + 2,600 JPY (4% of 65,000 JPY as a PayPal charge) in 7 days after the confirmation of pre-order. Second Payment: 65,000 JPY + 2,600 JPY (4% of 65,000 JPY as a PayPal charge) in 30 days after the confirmation of pre-order. *If you wish to pay the item in an installment basis. Please kindly write in "remarks" as Installment plan during your purchase, otherwise we are unable to send the correct invoice. Serial number nameplate, two tentacles attached in the base part. Limited Manufacture to 10 pcs only. Polystone, some parts has special polystone, etc. Available until December 10th , 2018 *Please kindly contact us as soon as possible for free repainting.